In the modern retail environment, consumers are well-informed and expect intuitive, engaging, and informative experiences when they shop. To keep up, retailers need solutions that can help them delight their customers with personalized experiences, empower their workforce to provide differentiated customer experiences, optimize their supply chain with intelligent operations and transform their products and services. With global scale and intelligence built in to key services, Azure is the perfect platform to build powerful apps to delight retail customers, the possibilities are endless. With a single photo, retailers can create new access points for the customer on a device of their choice. Take a look at this example of what’s possible using Microsoft’s big data and advanced analytics products. AI can be complex, this is where Rubikloud comes in. Rubikloud is focused on accessible AI products for retailers and delivering on the promise of “intelligent decision automation”. They offer a set of SaaS products, Promotion Manager and Customer Lifecycle Manager, that help retailers automate and optimize mass promotional planning and loyalty marketing. 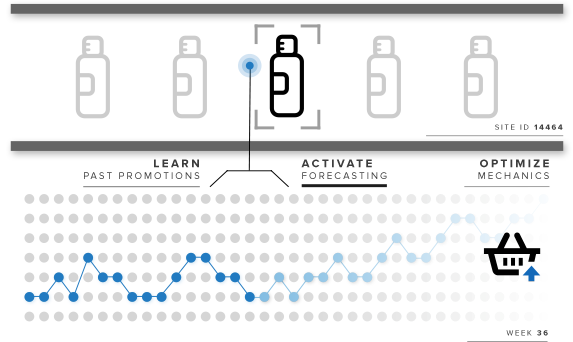 These products help retailers reduce the complexities of promotion planning and store allocations and better predict their customers intention and behavior throughout their retail life cycle. As Rubikloud democratizes AI, there was a need to make data accessible across business user profiles. To build a secure, high performance data platform that underpins all its SaaS products, Rubikloud chose Azure. The Rubikloud data platform lets retailers easily ingest most common data sources like Dynamics 365, SAP Hybris, NCR and Demandware seamlessly and at any scale. Waleed Ayoub, Rubilkoud’s CTO says, “In our mission to democratize AI, the need to process massive volumes of data for near real time decision-making, made Microsoft Azure the preferred platform choice. Azure’s global footprint and elastic compute fabric enabled us to connect with retailers’ legacy systems and onboard our products in a matter of weeks”. With Azure SQL DW, Rubikloud is able to make data and insights accessible to business users securely and effortlessly. Ayoub adds, “SQL DW has allowed us to offer our users another powerful access point in order to meet their growing analytic needs”. Rubikloud has seen impact. A.S. Watson, one of the largest health and beauty retailer in the world, is deploying Rubikloud products across its network of 13,300 retail stores. For retailers, combining data that they own and control with data from external sources such as vendors and research firms can be transformative. Azure SQL DW provides a fast, flexible and trusted analytics platform that lets the largest retailers in the world securely manage their data and allows trailblazers like Rubikloud to accelerate their journey to intelligent and accessible products. You can find out more about Rubikloud’s AI products, how SQL DW accelerates your journey to a cloud data warehouse solution and how Rubikloud uses Azure.